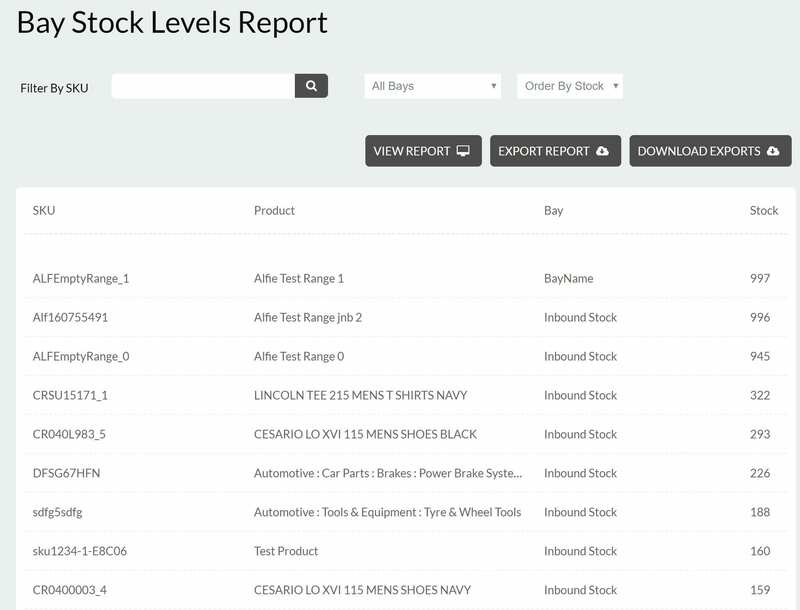 Today at Cloud Commerce Pro we are delighted to announce the inclusion of a new report in the reports section that allows you to more easily get your stock levels. 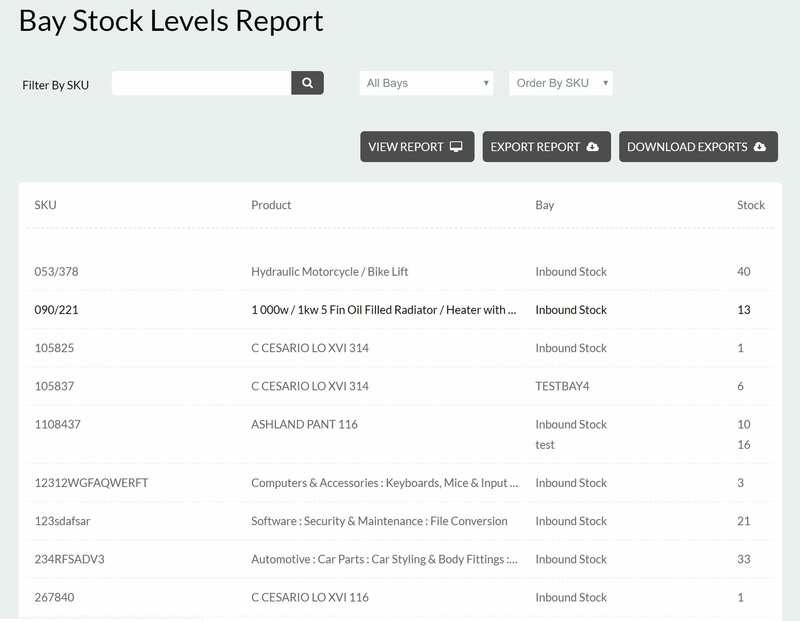 The report called Bay Stock Levels allows Simplex users to run a report of all stock and shows you which bay you can find it in. For Complex users, there are more options. 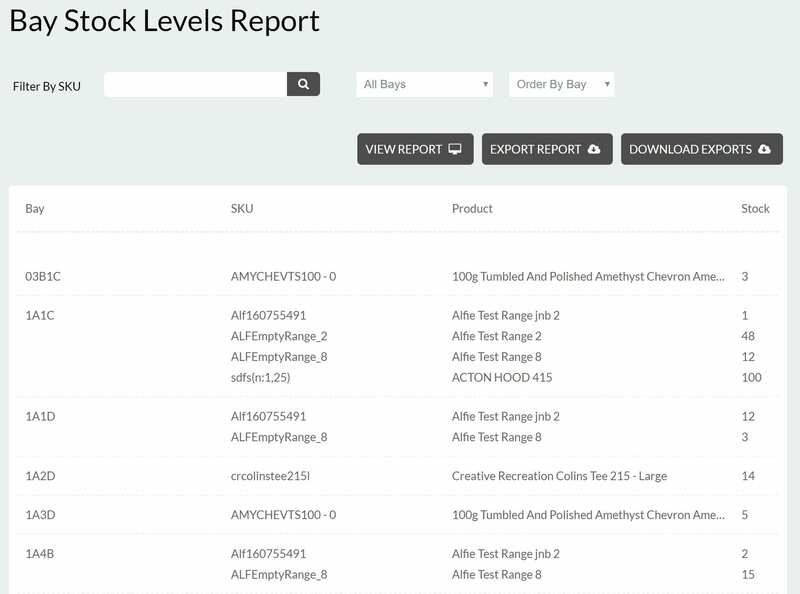 There are export options for each view if you need to manipulate the data further.